Preet Bharara earned the unwelcome but perhaps heroic distinction of being one of the first federal employees to be fired by President Trump. But as US Attorney for the Southern District of New York (SDNY) from 2009 to 2017, he oversaw the investigation and litigation of all criminal and civil cases and supervised an office of over 200 Assistant US Attorneys. Following his “involuntary career change”, he became a Distinguished Scholar in Residence at New York University’s School of Law, and has used his time well to write about his career and some of the notorious and extraordinary cases in which he was involved. 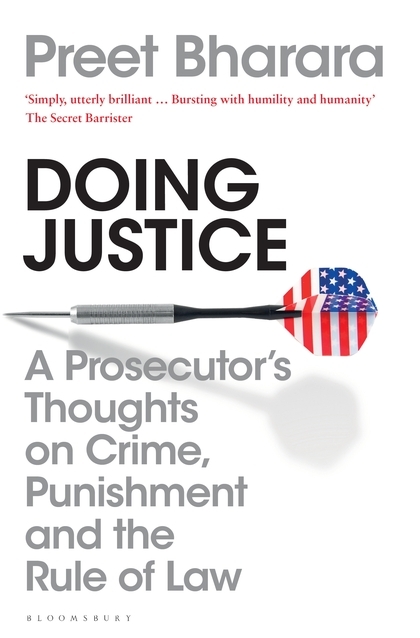 In particular, he writes eloquently about the ethics and priorities of the state and federal prosecutor, whose primary task is to serve justice, not simply to win convictions at any cost. Keeping an open mind at the investigation stage means forgetting about the presumption of innocence: potentially anyone could be guilty. But you need to tread carefully, not pounce until you are sure. Be prepared to change your mind. Be prepared even to walk away and not proceed. But once sure of your ground you should be fearless in proceeding, even when it rocks the boat or involves bringing down the rich and powerful. When the truth is finally uncovered, it is often the least expected result. The socialite investment adviser turns out to be a multi-million-dollar fraudster. The privileged sons of millionaires turn out to be their killers. The convicted killers in other case turn out, on reinvestigation, to be the innocent victims of a corrupt or bungled police investigation. The badge-wearing cop is a would-be cannibal. Another is John O’Malley, a rigorous investigator with a photographic memory, whose “steel trap mind” recalled details about an apparently solved case that helped exonerate the wrongly convicted victims of an earlier investigation and find the true culprit. The worst mistakes are often made within the well-meaning margins, by smart and competent people who on occasion fall below their high standards. An example is given of the fingerprint evidence which, after the 2004 Madrid railway bombings, appeared to finger an entirely innocent American Muslim living in Oregon. Science may be foolproof, but it may not be proof against a well-meant reluctance to challenge apparently corroborated conclusions. In that case, the American analysis was challenged by the Spanish analysts, who identified the true suspect, an Algerian national, and the American suspect was exonerated. But in another case, in which torture was used, including waterboarding, sleep deprivation, and being shut in a tiny box, it turns out the useful information was given BEFORE any torture took place. And in general anything derived from mistreatment turns out to be thoroughly unreliable. Another good chapter concerns snitches, and the “moral quicksand” around dealing with culpable co-operators. Surprise to say, it’s not all Goodfellas. “Flipping” a co-operator is a lot like obtaining a confession. You need to do your homework and earn their trust. When you do, the results can be devastating. It is troubling, though, how dependent justice appears to be on the right people being there are the right time. The system is fallible, not least because the people in it are fallible. The existence of innocence projects, and the huge numbers of cases brought to their attention, touched on here, bears testimony to the fallibility of the system. It is then left to heroic interveners to save who they may. It’s great when that happens, but it’s a bit of a lottery. It would be even better if the cases had been investigated and prosecuted with the patience and independence of mind that Bharara teaches. One can only hope that others coming up through the ranks will heed the good advice and learn from the lessons in this book.